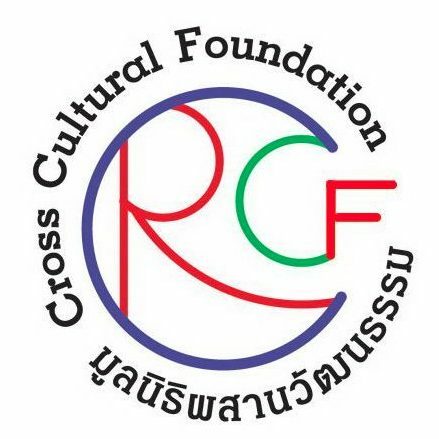 The Cross Cultural Foundation (CrCF) was invited to join the Rayong Central Prison for a ceremony in celebration of Ramadan. Finally, after collecting various donations throughout the week, we were able to deliver the collected goods to the incarcerated Muslims at the Rayong Central Prison. Dates, religious texts, new garments and prayer mats are a few donations to mention. It should be noted that, in my homeland, Canada, there are two “levels” of prison systems; the provincial prison, and federal prison. Typically, during one’s pre-trial, they will likely be situated in a provincial prison. If one is sentenced to serve less than two years, they will remain in the provincial prison. However, if one is sentenced to over two years, it is likely that they will have to serve time in the more grave, federal prison. Back home, Federal prisons offer minimum-security, medium-security and maximum security correctional services. In terms of its level of security, the Rayong Central Prison would be comparable to Canada’s federal-leveled maximum-security prison. Upon our arrival at Rayong Central Prison, the CrCF team was advised to leave our belongings behind (except for our identification). An X-ray scanner was placed at the entrance of the jail; it ensured that prohibited items such as our cell-phones would not enter the penitentiary’s premises. Everyone, including the prison guards, were required to walk through an X-ray scanner. It rained heavily as we made our way to the veranda where the ceremony would be held. The prison guards, and servicemen were polite enough to offer the CrCF team umbrellas. As we made our way through the rain, we crossed paths with several groups of inmates. The prisoners traveled in lines that were preceded by prison guards and ended with prison guards. I immediately noticed that the inmates were bare footed. Also, the inmates were very disciplined in their movement, as even their steps seemed to be synchronized with each other. Notably, the prison guards were equipped with large wooden truncheons. The diameter of the truncheons was thicker than the batons that the prison guards back home are equipped with. The inmates seldom looked in my direction, nor did they make eye contact with any of us. Later that day, we discovered that the inmates are discouraged from making eye contact with “higher- persons”. But I digress. As the “guests of honor”, CrCF was seated front-stage, on gloss-finished cherry wood chairs. The Muslim inmates sat on the floor. I counted roughly eighty men and twenty women in our audience. The inmates were gratuitous of our visit, and jumped at any opportunity that they were given to assist prison staff and CrCF in setting up. The ceremony started with a speech by the Prison’s Head of Education, followed by remarks by the CrCF staff, the unveiling of the donations and a concluding Salah observance. The highlight of my visit was watching the detainee’s eyes light up as they opened the donations. At the end of the ceremony, each department of inmates elected a spokesperson to say thank-you. Many of them were driven to tears as they expressed their gratitude. They were especially thankful for the religious texts, as they have been without access to Thai- written religious texts such as the Koran. A women inmate mentioned that, prior to our ceremony, she did not hear the prayer call for six years and five-months. It felt amazing to be part of such an impactful ceremony. Our visit to the Rayong Central Prison marked a great start to my summer with the Cross- Cultural Foundation.